Tom Hoover, shown with a racing HEMI engine, in July 2014. 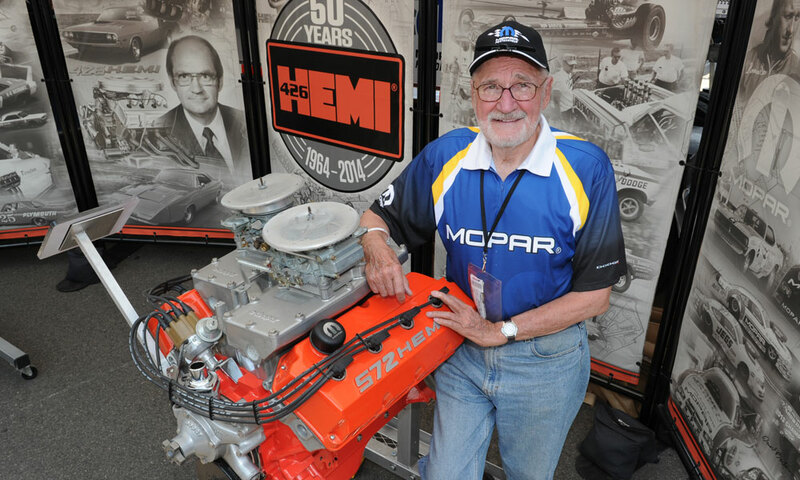 Every fan of HEMI® power and performance on the street and race tracks has lost a friend with the passing of Tom Hoover, the man widely known as the “father” of the 426 HEMI racing engine, which celebrated its 50th anniversary in 2014. “Tom Hoover was an exceptional human being and an engineering genius that always wanted to go faster. Today, at Mopar, we continue to live and honor Tom’s vision. He’ll be missed,” says Pietro Gorlier, President and CEO of Mopar Brand Service, Parts and Customer Care. He was a founding member of the Ramchargers, a group of Chrysler engineers who were thrilled by the growing sport of drag racing and used their skills to boost the company’s performance image. He helped develop the Hyper Pak, a group of performance parts for Chrysler’s renowned Slant-6 engine. The Hyper Pak helped make the Plymouth Valiant a winner on NASCAR tracks in the early 1960s. Customers could buy the Hyper Pak at a dealer’s parts counter. He led development of the Max Wedge big-block racing V-8, building upon Chrysler’s RB engine to create a powertrain that dominated drag strip racing in the early 1960s. A drag racer at heart, Tom Hoover helped develop the Pro Stock and Funny Car racing classes. Before he left Chrysler, Tom Hoover helped create the Lil’ Red Express, a high-performance Dodge pickup released in 1978. The Lil’ Red Express is easily identified by its vertical exhaust pipes mounted behind the cab. Like many of his contemporaries, Tom Hoover’s passion for engineering was sparked during his youth in Huntingdon, Pa. His first car was a 1952 DeSoto with an original Hemi engine. At Chrysler, he started by working on the Bendix Electrojector program – a precursor to today’s modern fuel-injection systems. Even after leaving Chrysler he stayed close to racing and Mopar performance. Tom Hoover and his son raced a vintage Plymouth Max Wedge car for several years. 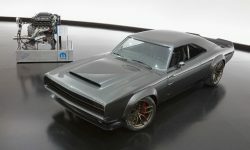 And he was consulted as the team developed the third-generation HEMI engine that first reached the street in 2003. Mopar continues to honor Tom Hoover’s legacy by presenting the Tom Hoover Sportsman Challenge Award to the NHRA Sportsman Class participant who earns the most points during the season driving a Fiat Chrysler vehicle in competition. Tom Hoover was also honored with the Mopar President’s Award at the NHRA Mopar Mile-High Nationals at Bandimere Speedway near Denver, Colo., in July 2014, and served as the grand marshal for the weekend event. In a special nod to the 426 HEMI race engine and his role, Tom, along with Pietro Gorlier, personally signed limited edition reproductions of the blueprints for the engine. 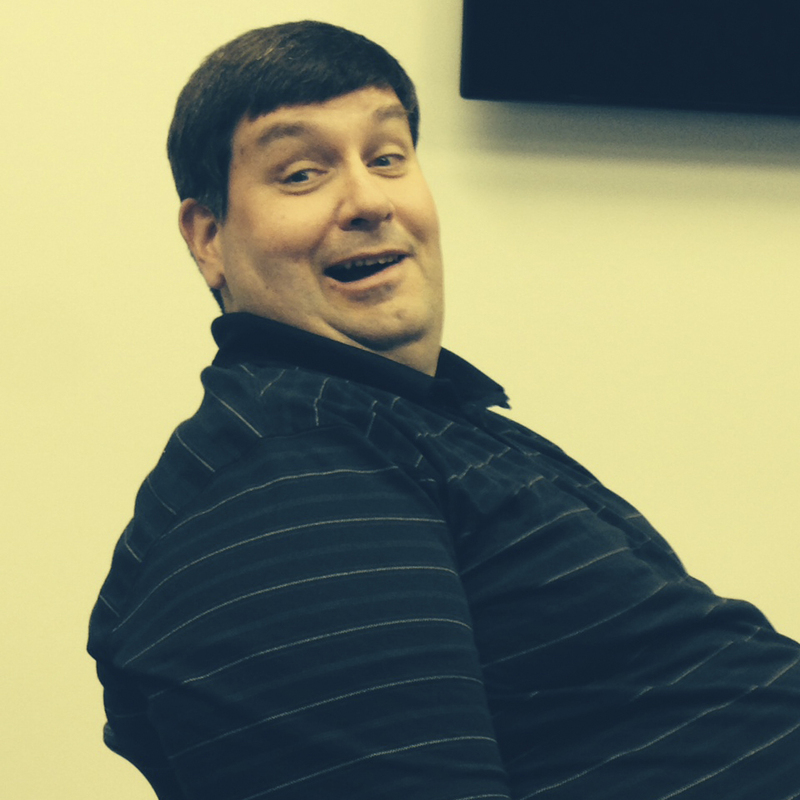 So the next time you hear the roar of a HEMI engine, give Tom Hoover a little thanks.